This story of a home exchange to New Hampshire, USA was shared with us by an anonymous member. It was near our family in the area! We met them at their home the year before we exchanged. They were excited t go to Hawaii and were very personable. Our guest arrived in Hilo, Hawaii before we left. We picked them up at the airport and showed them around before we left for their house. Their house was as we expected. They left us a box of muffin mix for breakfast. We grew up in the area, so most of our trip involved visiting and hosting friends and family. Attending a family reunion. Seeing friends from our old neighborhood that we hadn't seen for many years. Picking blueberries from the yard of our exchange host. 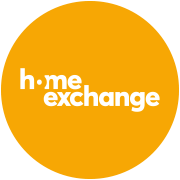 With HomeExchange we were able to stay in a location for a longer time and visit family and friends.